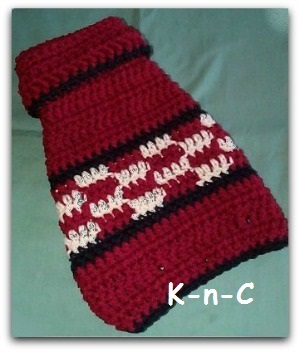 This is a free easy crochet dog sweater pattern I made up for my Yorkie. 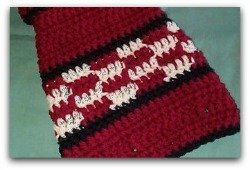 Well the sweater I made for my 9 lb Yorkie, the pattern I made up to share with you. 14 - you should now have 1 stitch. End off. Stitch up neck and stitch in chest piece. 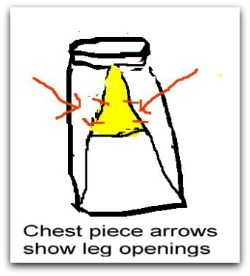 Leave about a 2-inch hole on each side for legs. I positioned my leg openings about 5 inches down from neck point. The patterns are copyrighted and you are not permitted to sell them. 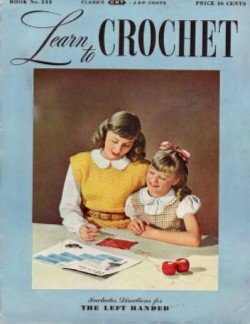 But as far as I am concerned you may sell anything you make from my patterns. I am giving permission for my patterns only. After all it is all your work and your supplies. Needless to say, you are not to sell the patterns I create but you may sell the item you make from my patterns. Yes the patterns are copyrighted so please honor that.